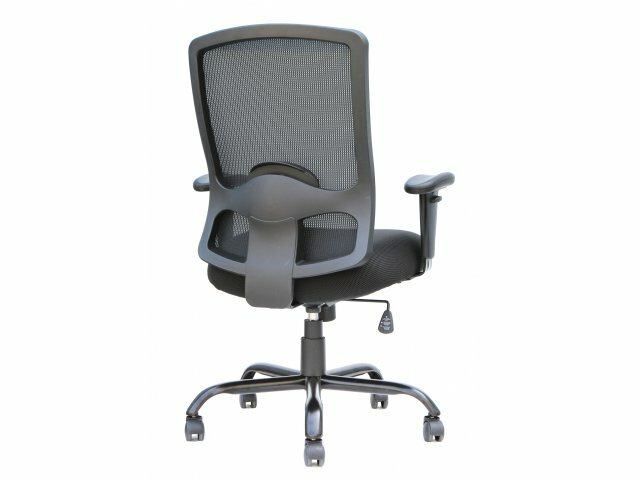 A Big and Tall Mesh Office Chair allows a larger executive to enjoy the ergonomic comfort they deserve, without compromising on style. 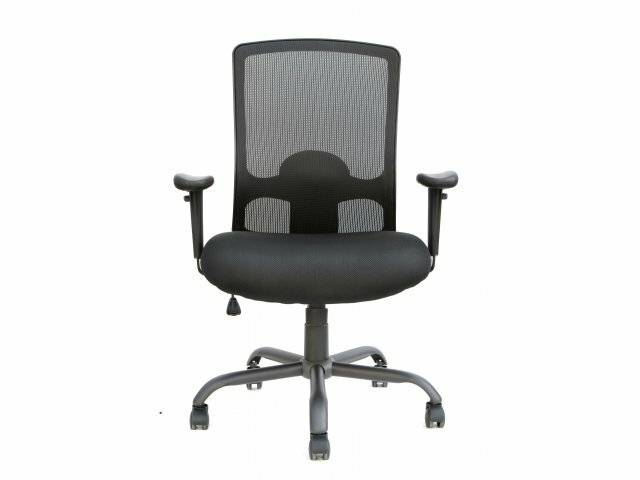 The coordinated black padded seat and breathable black mesh back can fit in with any office decor. 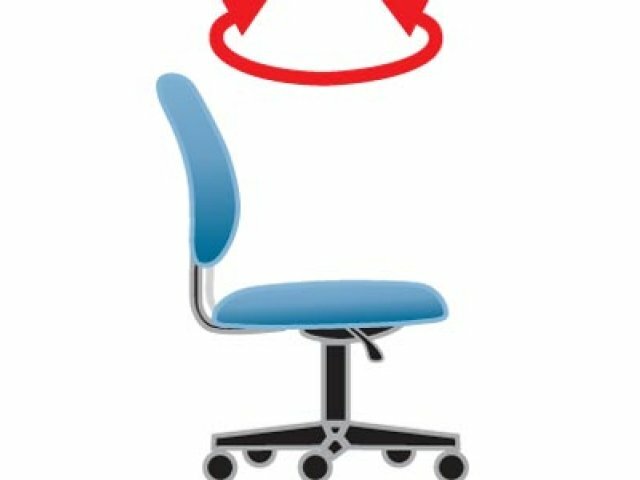 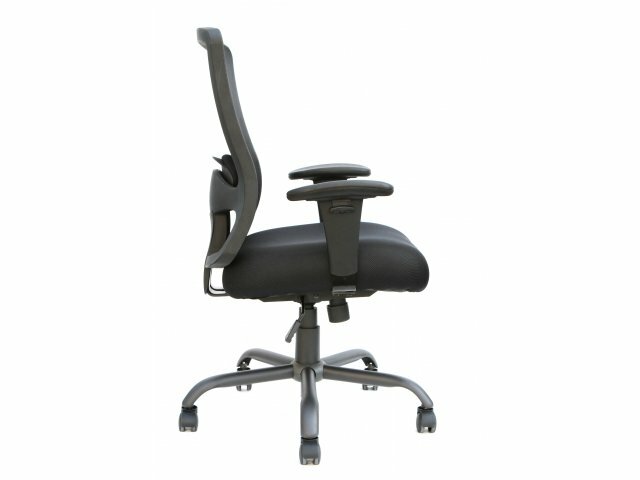 The ample seat and enhanced weight capacity ensure full support and proper positioning for all employees. 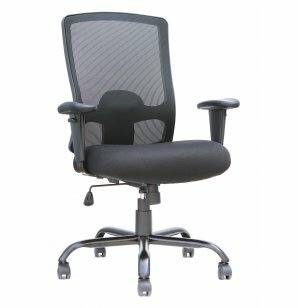 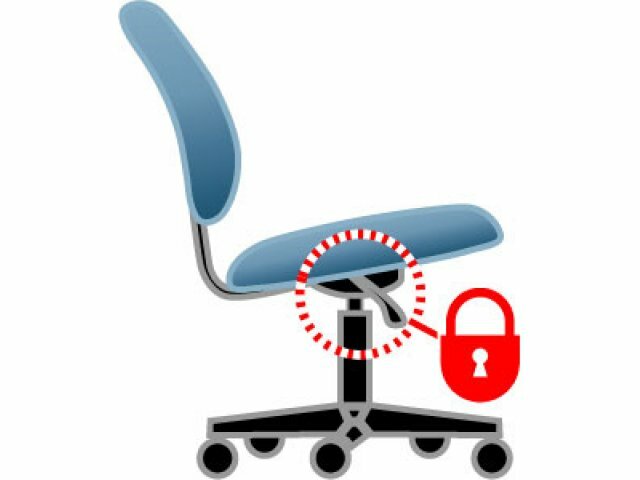 Adjustable features make this big and tall office chair an ergonomic choice. 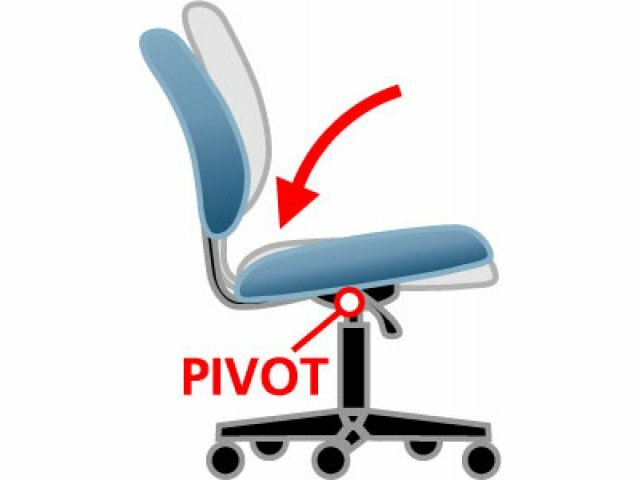 Tilt tension control adapts the swivel-tilt mechanism to the weight of the user, with the option of using a tilt lock, for those who prefer to stay in one position. 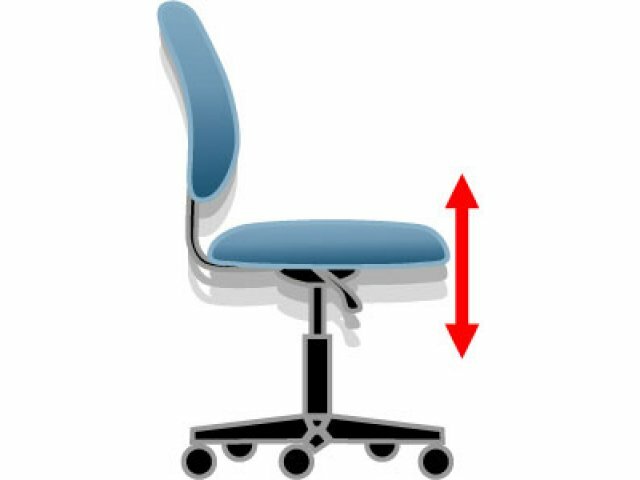 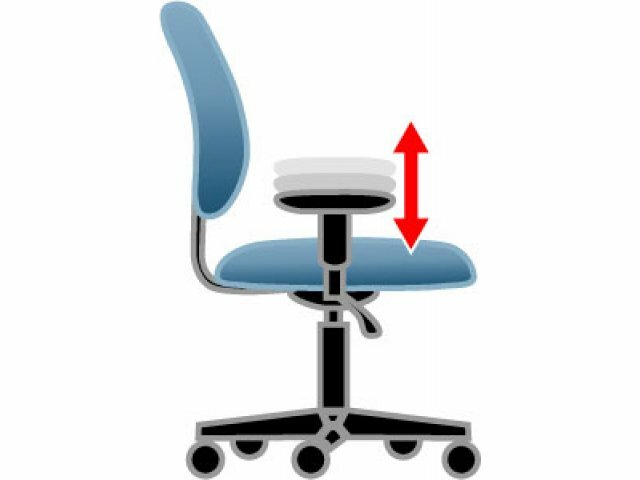 Pneumatic seat height adjustment allows feet to rest flat on the floor for healthy circulation, while adjustable-height arms offer even greater customization. 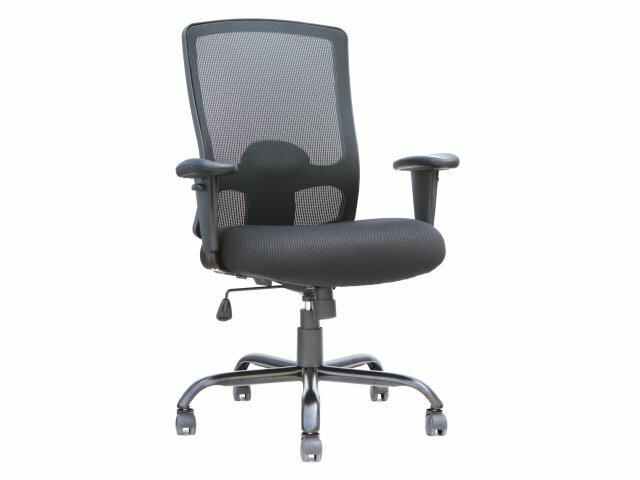 Big and Tall: Includes a 21"x19.7" seat, and a 350 pound weight capacity. 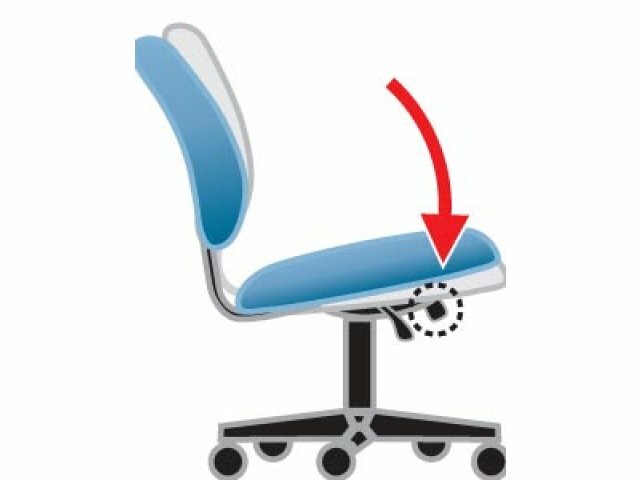 Adjustable Arms: Adjustable-height arms allow for further customization.